Brokers are prepared to look through the messy first half that Incitec Pivot ((IPL)) is likely to deliver, as the business is impacted by plant outages, adverse weather and the usual ups and downs in commodity prices. The company has provided more details regarding the financial impact of previously disclosed problems, as well as two other issues that are likely to have negative impacts in FY19 – the closure of the Portland plant and lower distribution volumes in Australian fertiliser. Macquarie suspects FY19 will be the seasonal and cyclical low point for Incitec Pivot and its performance should subsequently improve. The broker reduces FY19 estimates for earnings per share by -18% to reflect the issues. The impact of the Queensland rail outage, caused by flooding, is expected to be – $60m in the first half and -$100m in the full year. The company is establishing alternative logistics to take advantage of the rail line that is already open between Richmond and Townsville. Issues regarding the carbon dioxide removal system at the Louisiana ammonia plant were mitigated in February but the return to full capacity has been taking longer than expected, and the plant now needs to be taken down again in order to deal with compressor electronic controls. Full production is expected from the second week of April and nameplate achieved for the remainder of FY19. Ord Minnett reduces forecasts for Louisiana production volumes to 166,000t from 320,000t. While the reduced earnings contribution stems from the shutdown, the broker points out there is a benefit from pushing the next turnaround at the plant out to October 2020 from October 2019. Then there is Australia's east coast drought. Dry weather has reduced fertiliser distribution volumes by -200,000t, resulting in a likely -$20m negative impact to earnings (EBIT) in the first half. Incitec Pivot does not expect any substantial recovery to lost volumes in the second half. 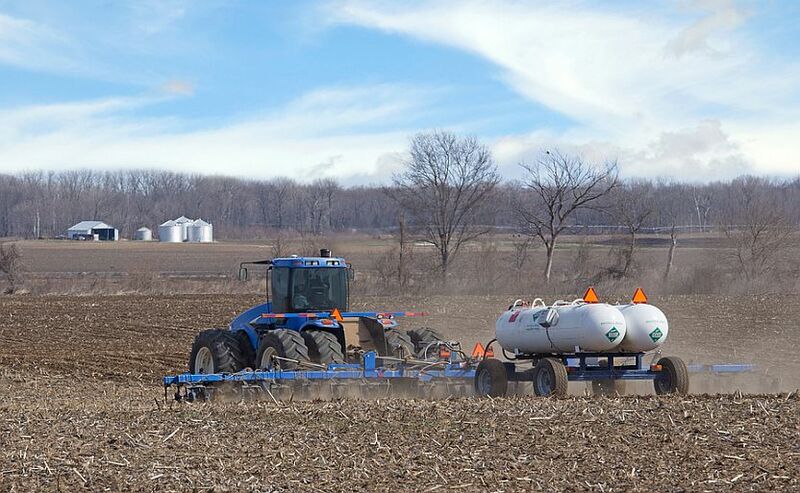 Weather has also been extreme in the US, as an extended winter and floods in key agricultural regions have delayed spring planting, leading to high inventory levels for fertiliser. Weather conditions are expected to ease, although Macquarie suggests farmers are more likely to use urea as they move through the season. Deutsche Bank agrees lower global fertiliser prices, arising from the delayed North American planting season, are not helping sentiment but retains a Buy rating on the stock and considers the majority of the events plaguing the company are largely one-off in nature. The only additional information in the trading update was the closure of Portland single superphosphate manufacturing. The company will close the Portland facility at a cost of -$13m. Production will be consolidated at Geelong. The Portland primary distribution centre will remain in operation. Ord Minnett assesses the recent performance in the share price is unjustified, as the stock has valuation support and is trading at a significant discount to rival Orica ((ORI)). Fertiliser and ammonia prices remain headwinds for the business, the broker asserts, while explosives demand in Australia is likely to be flat to slightly negative. Credit Suisse finds the absence of a specific note on the impact from re-contracting at Moranbah, as well as US ammonium nitrate sales, is marginally positive. There was also no further update on the future of manufacturing at Gibson Island. Macquarie agrees no news is good news regarding Moranbah. The broker factors in a reduction to earnings of -$10m over the next two years because of the expectations for lower contracted ammonium nitrate prices, but does not assume any loss in volume. The broker expects the company will retain the vast majority of volumes because of lower costs from its vertical integration and location advantages. UBS also envisages a positive volume outlook for explosives, as mining demand normalises, although market over-supply and re-pricing will weigh on earnings growth and operating leverage. Stronger ammonia and diammonium phosphate prices are the main upside risk to the broker's Neutral rating. FNArena's database shows four Buy ratings and four Hold. The consensus target is $3.80, suggesting 24.6% upside to the last share price.